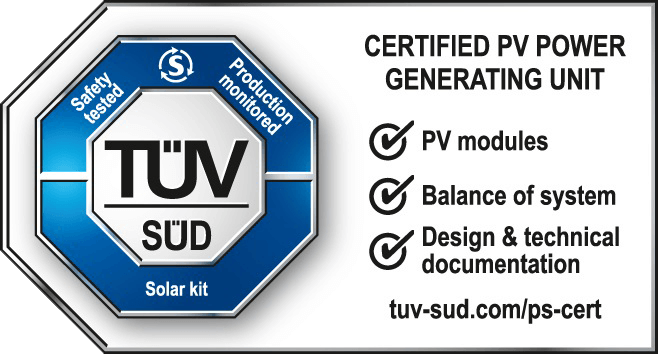 The TÜV SÜD certification scheme represents a milestone in the solar industry since it is specifically designed and aimed to address a variety of quality as well as safety-related issues associated with PV sub-assemblies. This will signify enhanced safety and reliability of solar kits and PV power generating units in their actual application. Behind the development of this certification is TÜV SÜD’s Senior Product Specialists Alexander Krenz and Zhao Kai, as well as a test program in close cooperation with Symtech Solar’s co-founders, Geof Moser, and Juan Castanon. As for the main tests, they cover the entire functionality and ­­­compatibility of the systems with their key components, which are: PV modules, inverters, mounting systems, DC Disconnects, PV wiring, connectors, and safety labeling. As a standard, each sub-component has been individually certified by TUV SÜD or equivalent certification agency prior to its inclusion in the new kit certification. Furthermore, each system has been verified for design and technical documentation and includes production monitoring at the factory level. Production monitoring includes annual on-site inspections. 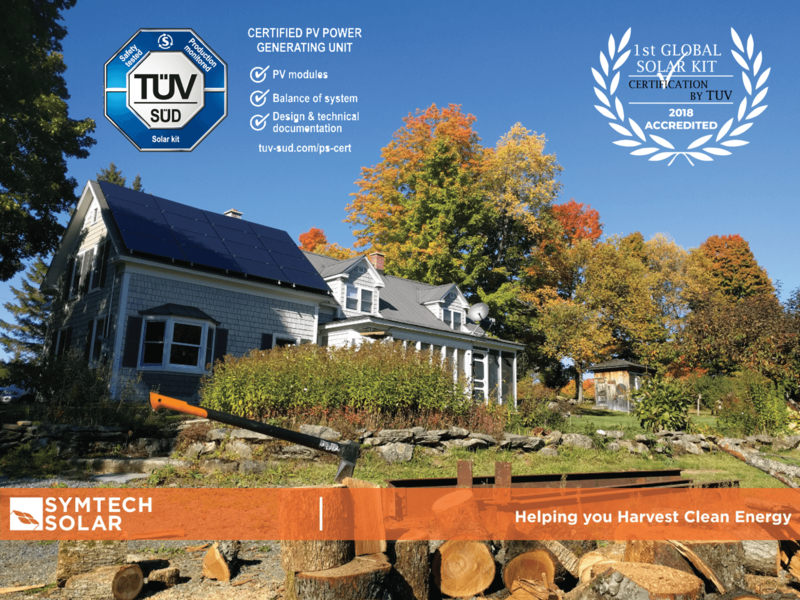 This new milestone of establishing a TÜV SÜD certification for PV system providers will initiate a trend towards continuously improving the safety criteria for PV system design and electrical installations throughout the industry. The current certification scheme will primarily follow the IEC 60364-1, IEC 60364-7-712 and will summarize all solar system certified components under IEC 61215, IEC 61730, IEC 62109-1, IEC 62109-2, PPP59029A, IEC 62446-1, EN 60947-3, EN 50618, EN 50521 and other relevant standards. IEC 60364-1 provides the rules for the design, erection, and verification of electrical installations conducting to provide safety of persons, livestock and property against dangers and damage, which may arise in the reasonable use of electrical installations, and to provide for the proper functioning of those installations. IEC 60364-1 applies to the design, erection, and verification of electrical installations such as those of residential, commercial, public, and industrial premises (other inclusions apply) up to 1000VAC and 1500VDC. IEC 61215 covers the parameters which are responsible for the aging of PV modules including UV, temperature, humidity, and mechanical loads. IEC 61730 safety qualifications cover multiple parts including the design and construction requirements for the PV modules and application & safety class qualifications. IEC 62109-1 and IEC 62109-2 cover the particular safety requirements relevant to DC. to AC. inverter products as well as products that have or perform inverter functions in addition to other functions, where the inverter is intended for use in photovoltaic power systems. IEC 62446-1 defines the information and documentation required to be handed over to a customer following the installation of a grid-connected PV system. It also describes the commissioning tests, inspection criteria and documentation expected to verify the safe installation and correct operation of the system. It is for use by system designers and installers of grid-connected solar PV systems as a template to provide effective documentation to a customer.